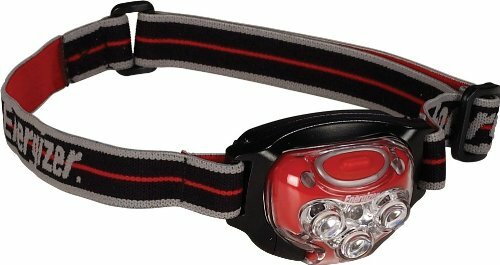 The Energizer 4-LED headlight features 3 white Nichia LEDs and 1 red Nichia LEDs which provide a maximum output of 28 lumens of bright, white light. The pivoting head directs light where it’s needed and the two light modes offer: white flood and red night vision light. All balanced on a soft elastic adjustable headband for your comfort.